AP BSNL came up with innovative idea of choosing a prepaid mobile number of your choice from one lakh numbers(at the time of writing this it is 94,295 and decreasing at very fast rate) through web for free. How to reserve number of your choice? 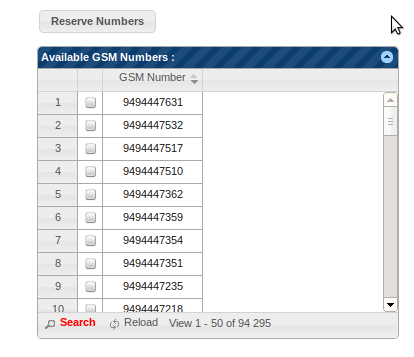 Choose a number, click on Reserve Numbers button and enter your existing mobile number. You will get a seven digit PIN(One Time Password), enter this PIN on the site to confirm. Go to your nearest BSNL CSC or Franchise, inform the mobile number and PIN and submit the documents to get new prepaid GSM SIM. No extra amount is charged for selecting the number, only pay for plan. Your reserved number will be valid for 96 hours only. 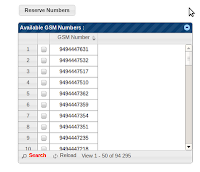 Update 1 (12th December): BSNL kept two lakh choice numbers in the site. As of now(8:25PM) 1,93,198 numbers are available. This plan comes with Rs.300 free usage value and free 250MB data. With postpaid plan FMC-225, BSNL is offering Rs.200 worth of free usage per month and 200MB free data. BSNL AP circle is back with free 2G SIM offer, it's available from 16th,Nov to 30th, Nov-2011. Select your number of choice from bsnl website and get SIM for free. Plan-99 is the postpaid starter plan which comes with Rs.60 worth of free usage. You can avail 3G facility(video calling, 3g data) with no additional charges. 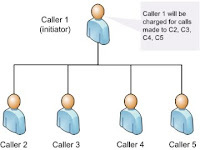 Call forwarding or diverting is a feature that allows an incoming call to be redirected to another number. 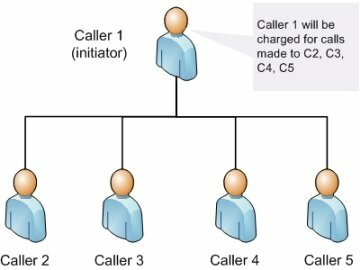 Forwarded call is treated as out going call from where it is redirected, so both the caller and the person who redirects the call are being charged for that call. BSNL is providing this facility for mobile users, but you can forward only to own network(BSNL mobile/land line) not to other networks. This can be activated/cancelled either by using call settings menu provided in the phone or by dialling the following service codes. number should be in international format i.e., +9194XXXXXXXX. If the number is voice mail no(+9117010) then call forwarding becomes missed call alert service. While at home divert all your mobile calls to your land line phone, if you are in bandham plan (unlimited free calls from mobile to land line). Recently I came across this wonderful site, where not only you can topup your prepaid mobile but also you can Recharge your mobile. I said wonderful because it spares you from going to uncaring BSNL cusotmer service centres. How it is different from other similar services? We have numerous sites offering online mobile recharge, it's not actually recharge what they offer, only topup. Even if they provide recharge, it's limited to only few fixed recharge cards. What makes paytm.com to stand out from others is enter the recharge amount and get recharge done instantly. There is no minimum amount limitation, even you can recharge with as little as Rs.7/- (BSNL 2G data RCV). No extra amount is charged for availing these services. Mobile Recharge for Airtel, Vodafone, Reliance, BSNL, Idea, Uninor, Aircel, MTS, Tata Docomo, Tata Indicom, MTNL, Loop, Virgin Mobile. DTH Recharge for Tata Sky, Dish TV, Airtel Digital TV, Reliance Digital TV, Sun Direct and Videocon d2h. Data Card Recharge for MTS MBlaze, MTS MBrowse, Reliance Netconnect+, Tata Photon Plus, Tata Photon Whiz. You can pay by net banking of all major banks, VISA/Master debit or credit cards. Coming to BSNL customers, you can migrate easily from one plan to another plan, recharge stvs, data rcvs, discount rcvs etc. through online at your convenience from home/office without going to BSNL CSCs. If you are android mobile user, you can install this from android market. You need to have credit card to use this app for recharging as there is no facility for other payment methods. Please let me know if you face any problem, so that all can aware of it and also before entering recharge amount make sure it is correct. As you know, this facility enables you to call more than one person at the same time. You will be charged only for the calls made by you during the conference, no extra amount is charged by BSNL. Press key 2 then press call button. Dial the next number; wait till the call is answered. Press key 3 then press call button. Repeat the step 2 to add one more person. You can add up to six members in the conference and also you need to have call waiting service activated. If you are thinking that you can not complete Rs205/- talk-time offered with discount recharge RC200 with in a month, BSNL came up with a less costly discount recharge voucher, RC125, offering talk-time of Rs126/- with 30 days validity. It is targeted at customers with less call usage per month. If used with Vennela Match Plan(1Paise/sec Local/STD, Any N/W), one can make 210 minutes of voice calls. It is available for both 2G&3G prepaid customers through E-Recharge. Any, unused balance will be carry forwarded, if similar recharge is made with in 30 days from last RC125 recharge. Note: Discount Recharge RC125 has been withdrawn by AP BSNL w.e.f. 22-08-2011. Poor guys they never understand customer requirements!!!!! BSNL 3G speeds at various places in hyderabad like Tarnaka, Lalapet, Nacharam, Uppal, cherlapally are measured quantitatively at different times from morning to night, to find out how the speed is varying. Speeds are measured from a distance of nearly 100 meters from a 3G cell tower, got good speeds compared to other places. Speedtest.net latest version(2.0.3) from android market is used for measuring the speeds. Many number of servers available, out of which three servers are in India, located at Delhi, Mumbai and Chennai. It automatically selected the nearest server i.e. Chennai. It is always ensured that signal strength is full (All signal bars are present) and shows H symbol (HSDPA). For each sample taken, speeds are measured two to three times, the one with lowest speeds is selected. BSNL AP circle is offering various 2G&3G mobile plans, migration from 2G to 3G and vice versa can be done at free of cost. On migration your balance is carry forwarded to new plan. After getting Acknowledgement send sms M3G120Y to 53733 to confirm migration. You will be migrated to 3G General plan, then you can migrate to any 3G plan. After getting Acknowledgement send sms M2GY to 53733 to confirm migration. You will be migrated to 2G Excel General plan, then you can migrate to any 2G plan. BSNL has facility for online Recharge/TopUp/Flexi TopUp of prepaid mobiles. This service is available for the customers in all circles, who are having a net banking account in any nationalized bank. First one has to register at this portal to make use of the service. Once registered, login with the username and password provided at the time of registration. By selecting the any of the above service and your bank, you will be redirected to the bank's website where you can authorize the transaction. Once the amount is deducted from your account, you will be getting the required Recharge/TopUp/Voucher immediately. You can also view all the transactions carried out. One drawback is that migration vouchers are not available online, so one has to compulsory visit the BSNL customer service centre for migrating from one plan to other. In Andhra Pradesh telecom circle Aircel, Airtel and Idea are offering 3G services in addition to state-owned BSNL. BSNL is the first mobile operator started offering 3G services followed by Aircel, Airtel and Idea. Vodafone is also offering 3G services(using Idea 3G network, as Vodafone didn't get license for 3G services in Andhra Pradesh). Here is the list of available data plans for prepaid mobile customers. This post may help users in finding the best 3G data plans. *with double data offer, till 31st December 2011. ^There are no unlimited data plans from any operator. ^BSNL & Idea have more number of plans compared Aircel and Airtel. ^BSNL & Idea are offering plans with more than 30 days validity. BSNL and Idea are offering more number of data plans to choose from, and also at less cost per MB compared Aircel, Airtel and Vodafone. With Idea's double data usage offer it is second best provider to choose. BSNL is the best among all, with the lowest data rates. But while choosing the best 3G operator we have to consider other parameters like speed, availability, voice plans etc.., in addition to the data plans, those are not discussed here. ***Information regarding data plans is retrieved from corresponding providers website on 17th July, 2011. Note: STV-12 has been withdrawn by BSNL, so no longer available. Andhra Pradesh BSNL became the top revenue earner of all BSNL circles, and also top gainer in MNP in AP circle. Its because of measures taken, by introducing various plans, with free messages, friends and family discounts, and night calling discounts. Customers need not pay extra amount to get these fabulous offers, simply subscribe to any one plan from available 2G/3G plans. Current 3G prepaid plans are Nestham and Vennela Super Plan. New/Existing customers can opt for these plans. For existing 3G customers, migration cards are available through E-Recharge to migrate from one plan to other plan. Vennela Match plan is not available for new customers.To continue, in these plans after initial validity period, minimum top-up is required according to the selected plan. You can also migrate to any of these plans by online recharge; for details see this. 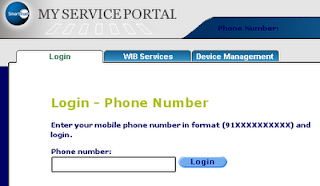 BSNL has a less known, My Service Portal, where mobile users can login with their mobile numbers, to configure their phones. 1. WIB(Wireless Internet Browser) services, enables Over-the-air SIM services updation. 2. Device Management, allows users to configure their device for the GPRS/MMS/EMail/Streaming etc..
WIB services are used to update the SIM Card services. User can add/remove the services from the SIM. You may find it less useful. Under Device management, when you select your phone make and model, you will be shown the available settings for your phone. When you click on 'Configure My Phone' button, settings will be sent to your phone. Some times we may not get the settings through SMS based method, in such case you can check online, whether the phone model is in the BSNL database or not. This 3G prepaid plan is available in Andhra Pradesh circle from 17-07-2010. First Migrate to 3G general plan: send M3G120 to 53733, then to 3G vennela super plan, with plan voucher Rs.139. *To be used within 30 days. ** Minimum top-up of Rs200/- is required for every six months. BSNL 3G General plan is available for new 3G connections as well existing 2G customers. 2G customers can migrate to 3G General plan, by sending M3G120 to 53733. This plan is not recommended because Friends and Family offer is valid for only two BSNL numbers, Night calling discounts are also not applicable and no free monthly messages. BSNL is providing missed call alert service for its customers in AP freely, while the same is charged by private operators. It comes handy when you are out of coverage area or your battery is emptied. It may be also useful to check who are all called when your mobile is switched off. To activate this free service, go to call settings option in your phone settings menu, select call divert option, under this you have several options like whether to divert all calls or only when out of reach or when you are busy attending some other call. Select any option, then select activate and enter the number 17010. After activation you can check whether it is active or not. As well you can deactivate the service at any time. BSNL added one more plan to its bouquet, Vennela match plan. It is available for both 2G and 3G prepaid customers in Andhra Pradesh circle. BSNL cleverly combined all the existing plans to derive this plan. Free monthly messages offer which is missing from Match plan is included in this plan, as well as friends and family offer. One more good addition in this plan is reduced night calling charges, which is missing in vennela and nestham plans. BSNL mixed all the existing prepaid plans, in good proportions, to make it more pocket friendly plan. ^To be used within 30 days; *Minimum topup of Rs.200/- for every six months is required. AP BSNL has introduced the Match plan for its 2G prepaid customers. All local/national calls to any network are charged equally, at 1 paise/sec. If you have good number of STD contacts,this plan is for you. Two good offers are missing in this plan, which are available in other plans like vennela, nestam etc.. One is friends and family offer and other is free monthly messages. For new customers SIM cost is 20Rs and first recharge coupon cost is 32Rs, 10Rs balance is given. Existing customers have to recharge with 21Rs migration voucher, no balance is offered. minimum recharge of 220Rs is required for extending the plan, for every six months. The popular BSNL 2G nestham plan is now available for 3G customers also. Existing 2G customers can migrate to 3G nestham plan without changing their SIM. In this plan, Friends and Family numbers can be chosen from any network in AP. But you won't get reduced night calling charges to BSNL numbers. * To be used in 30 days; ** Minimum top-up of Rs200/- is required for every six months.